I was going to quilt the red and white star quilt but I couldn't decide whether to use red or white thread. I finally decided I don't want to see white thread on red or red thread on white so I will hand baste it and quilt it in the ditch on my straight stitch machine. 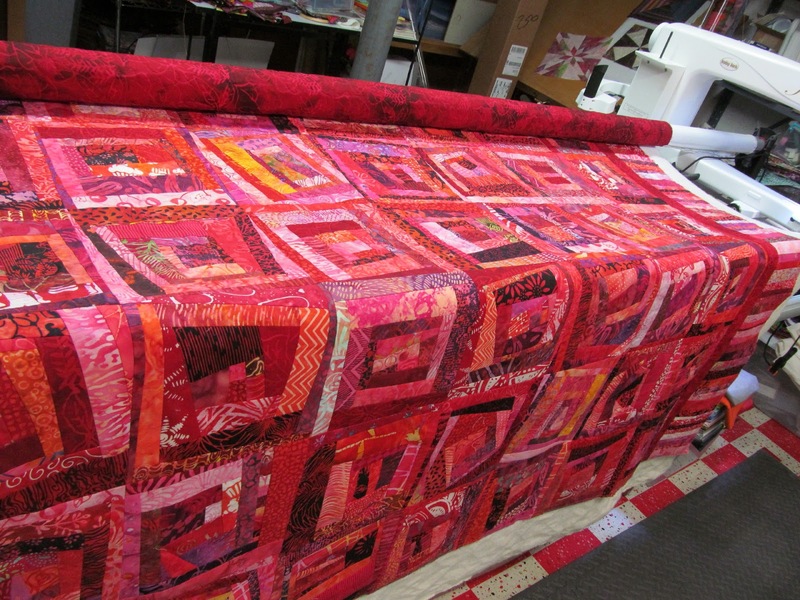 I had this red crazy pieced quilt on my list to do in February so I pieced the back, loaded it on the frame and quilted it yesterday. My thread is SoFine by Superior in a dusty red and I did a meander. It has been trimmed and now I need to cut the binding from either the backing fabric or the fabric that is the first border. I will be hand sewing this one. The quilt is so pretty! I agree about the thread choice for the red and white quilt. I could live with the white thread on the red, but not red thread on the white. Keeping red on red and white on white will keep the nice contrast. Love this quilt! Red is my favorite color. I would have used tan thread to quilt a red and white quilt. It kind of splits the difference. But in the ditch works- can’t wait to see it. The reds are so pretty. 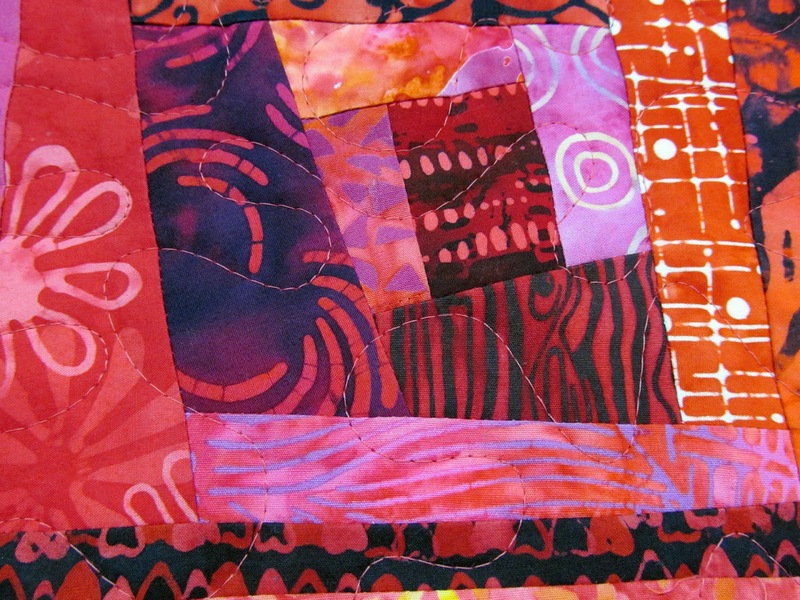 Quilts like this red one have always been some of my favorites of those you make -- the colors, the nuances, the liberated logs, and the repetition without being uniform. I love it!!! A variegated red/pink thread would’ve been attractive. 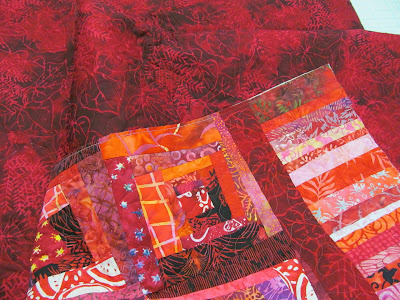 Working on your red quilt has to warm your heart on another wintery day. Was a treat to see it again. I checked your weather today....33 and snow. In comparison to ours is 16 and snow. What an appropriate quilt for Valentine's Day this week! I love this one! 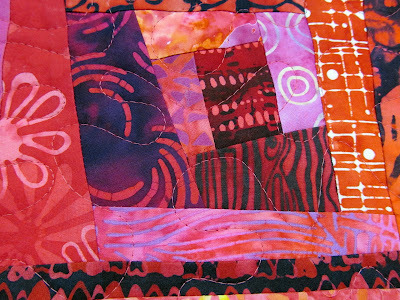 Love the reds, pinks and even oranges and the improv nature of the piecing. It's a winner! Great quilt, Wanda! I love it. Nice for Valentine's Day. You must have an amazing stash of reds at your place Wanda!! !